Finally something new to report. The story is called “Odota autossa”, which translates to “Wait in the car”. It is a survival story about a young man who gets stranded in a modern car with a modern cell phone. You’d think it doesn’t sound that bad, but there are circumstances. Unfortunately though, that didn’t work out. So this will remain a non-commercial product. Fortunately, it also means that I can freely distribute the story in PDF format. You can read it here. I hope you enjoy reading it as much as I enjoyed writing it! P.S. I’m already working on my next novel, which will hopefully bring me lots and lots of fame and money. I will give more information some time this year. In summer 2017, when I was still writing the last chapters of Eternal Doctrine, I got an idea. I knew what my next book was going to be about. I had to forcibly stop myself from diving into the deep end of that new story since I had to remain in the deep end of Eternal Doctrine to make it any good. That was painful. When I finally finished Eternal Doctrine in October, I faced another problem. The thing with writing novels as a family man with a day job is that there’s not much free time. And by free time I mean time I can use to do my own stuff – not family stuff. My solution used to be to write when others were sleeping. That meant being creative after a day’s work and evening’s child care. It was doable, but it was also painful wearing. I had to figure out something else for the next project, so I did. I purchased a simple laptop (I didn’t have (a decent) one before! I only had a tabletop PC) and decided to mostly write away from home. The plan was to reserve some time slots from the weekly calendar during which I would go to the local library and write there. The only problem with that was that there weren’t adequate available time slots, so I first had to make those. Resolution: I downgraded to work only four days a week. On the fifth day I try to write. Also, when we’re at my parents’ place and there are other people to watch after the children, I can take refuge in a dark chamber somewhere deep underground and work there. So far everything has gone smoothly. This time I don’t plan on self-publishing. I aim to get it traditionally published. For all you non-Finnish readers out there, you’ll unfortunately have to wait for the translations. And I have another project for 2018 as well: My second child was born on April 9th. For my own mysterious and currently undisclosed reasons, I am in search of a scary horror novel. I have never read anything that could be considered scary – with the exception of a fine children’s story called Skräcknatten i Fasenbo (“Hiidenperän kauhuyö” in Finnish) by Gunnel Linde. The label “horror” is, sadly, often given to works that are simply all about a mad axe murderer. Those can be great books as well, but I’d rather categorize them as thrillers. After some recommendations, I took it upon myself to read Misery by one Stephen King. First I must point out that I very much enjoyed that book and that it wasn’t Mister King’s fault that a guy I know claimed that it was a horror novel – and that Amazon has the same claim. The story was full of despair and bad things. It was so well written that most of the time I felt extremely uncomfortable reading it… But was it scary? No. It was about being the prisoner of a mad(wo)man and getting chopped up. I didn’t find what I was looking for, but I found out that Stephen King was a pretty good writer, so I got sidetracked and read another of King’s novels – The Long Walk (which he, for whatever reason, wrote with a fake name). A good novel again – maybe not as good as Misery, but definitely worth a read. Getting back to the main track, I tried to google some horror novels and found something interesting: Stephen King had claimed that the “Mount Everest of haunted house novels” was a story called Hell House by Richard Matheson. I had never read a haunted house story before, so I tried that one. I was disappointed right from the first page as the point of the story was that the people going into the haunted house were the best of the field in paranormal activity. It seemed to me that true fear can’t be experienced through those characters as they will be expecting all kinds of poltergeist phenomena. But I still decided to give the story a chance to prove me wrong. …It didn’t. In my opinion the story can be summarized in one sentence: “Anything can happen to anyone at any time anywhere.” An invisible force could whenever take anyone of the characters and do anything it wanted with them, which resulted in some unpleasant scenes of gore. If you’re still reading, you would be justified to ask where the large breasts come in. Well, they came in very early in the story. The writer made absolutely sure that the reader knew exactly how big they were and how they bounced when the character did this and how they dangled when the character did that. Later on they were several times involved in ghostly sexual violence. Was it unpleasant? Yes. Was it scary? No. Based on my kitchen psychology, I’d say that Mr. King had his own valid reasons to like Hell House, but it didn’t bring me any closer to finding a novel that is actually scary. So far the piece that has got closest to what I’m searching for is The Call of Cthulhu by H. P. Lovecraft, but that’s a short story, so it doesn’t really count. I also read an essay by Lovecraft about the history of horror literature in which he had one excellent point: The only source of true horror is the collapse of the most fundamental rules we base our understanding of the universe on – when the laws of physics appear to come crumbling down. I completely agree with him. And I have a story to back it up! When I was in the army, I, being extremely tired, looked up at the sky on one particularly beautiful winter night spent in the woods. The sky was clear and the Moon was full. I focused my naked eyes on the Moon for a while. The more I looked at the Moon, the more I started to feel that there was something wrong with it. After a while I couldn’t fix my eyes on it anymore and the Moon appeared to be shaking. I knew it was because I was so tired, but the effect felt too damn real and no amount of reason can nullify the fear of paranormal. If the Moon could suddenly shake, everything we have known about this universe of ours would be rendered invalid. I remember being really scared. So I’m actually looking for that scary feeling again, in novel format. I’m open for recommendations! I happened to read another enjoyable book: Eejit by Andrew Hindle. A quick spoiler-free synopsis is in order: A starship far from everywhere has an accident. Only a few crewmen survive, but they have a factory of clones to fill unmanned posts… Unfortunately, the factory is defective and churns out androids whose capabilities are randomized somewhere between a potato and an almost adequate crew member. I found the premise most amusing. My first impression on the writing was that the style was very Pratchett-y. All conversations aimed for some degree of comedy while trying to maintain the seriousness of the situation. It didn’t always succeed, but often enough it did. The writer took every opportunity to crack a joke about the defective androids in particular. There was quite a number of characters that got somewhat equal screen time. Chapters were divided based on who was the focus. There was some confusion, expecially in the beginning, since I wasn’t yet familiar with who was who. Near the end it wasn’t an issue anymore, but then again, that was already near the end and I couldn’t enjoy it for long. Another point of criticism was the universe. Several alien races were mentioned and the history of humanity was vaguely referenced. I felt that I, as a reader, should have cared about those, but I didn’t. I only cared about the characters of the story. I take this opportunity to point out that Eejit is actually book 1/8 of “The Final Fall of Man” series. I dare assume that the universe will be explored more deeply in the following books (all 8 books are available). But enough nitpicking. The characters were great once you got to know them and the witty dialog really used their qualities. The plot remained interesting all the way to the end and I got a number of laughs reading the whole thing through. The interactions between the characters and the defective clones were particularly fun to read. There were also some similarities with my own writing (especially those points I learned from Pratchett… coinsidence? “Terry” – five letters, “Andrew” – five letters… coinsidence?). Find out more by reading Groombridge Log and Eejit. Eternal Doctrine is finished! And with that, the novelization of Star Control 2 is finished. 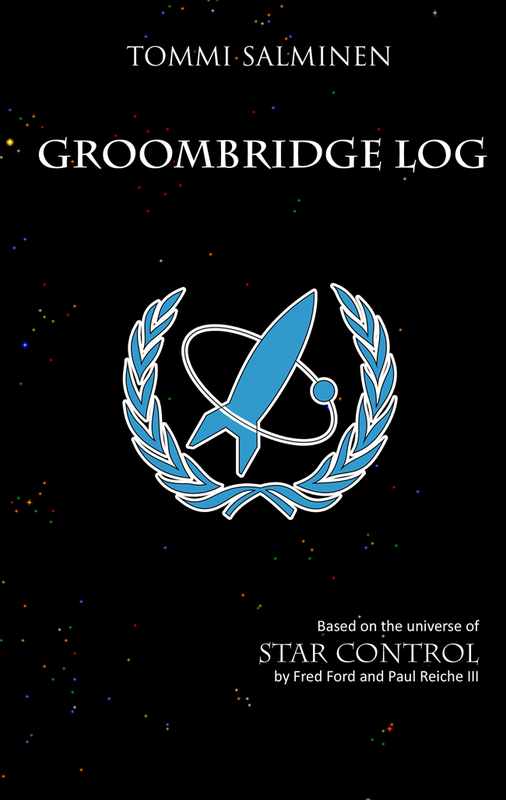 The novelization of Star Control 2 consists of two novels – Groombridge Log and Eternal Doctrine. The series is called The Ur-Quan Masters. Those who are willing to read the books, but unable (or unwilling) to buy them, will be pleased to know that both of the books are also available for free in PDF format. With the spare time I currently have, I think yearly (or bi-yearly) book reviews are in order. During the past few weeks I’ve had the pleasure to read a most interesting piece of writing called Ready Player One by Ernest Cline. I could join the many other reviewers in labeling the book with all kinds of positive adjectives, but instead I will tell what I felt while reading. Throughout the entire story I constantly had the feeling that the book was written for me specifically. Of course that also makes it impossible for me to review the book “objectively” as someone who has lived their entire life in a barrel. But for us good and honest folk who have spent the majority of our best years playing videogames behind closed curtains, this book is a gem that should not go unexplored. I’m not saying that you should have had no life prior to reading to book to fully enjoy it. I’m saying that if you identify yourself as a current or past nolife, you will enjoy this book. If you don’t identify yourself as such, you still probably will enjoy this book. The virtual reality future described in the story sounds so likely that one might question the book’s categorizing into science fiction. A future like that has also been proposed as one possible solution to the Fermi Paradox: Why haven’t we ever heard from another civilization spreading throughout the stars? – Possibly because all civilizations eventually figure out that it is much more fun and convenient to just sit back and enjoy life in a virtual reality instead of migrating to other solar systems. And since this was supposed to be a book review… I got really engulfed in the world of this story – so much that when the bad guys were being bad, I felt bad. Thoughts like “How dare they?” often went through my head. The virtual reality felt like such a nice place that I was really worried when its essence was threatened. At the end of the Avatar movie I felt sadness for having to return to reality. I got the same feeling at the end of Ready Player One, even though its world was a crappy place. Now I have to consider purchasing HTC Vive. On August 9th 2017 (Wednesday), I will be giving a presentation regarding conversions between books, movies and games. The presentation is scheduled for 15:00 – 16:00 (3pm – 4pm) at room 207. You can expect me to ramble on and on about my personal experience with Groombridge Log and Eternal Doctrine. On August 12th 2017 (Saturday), I will participate in a panel discussion regarding scientist characters’ creditability. The discussion is scheduled for 12:00 – 13:00 (12pm – 1pm) The other panelists are Livia Santa Clara, Karen Lord and Kristine Hejna. I invite you all to come and listen to my presentation and panel discussion. Or you can just come to say hi. 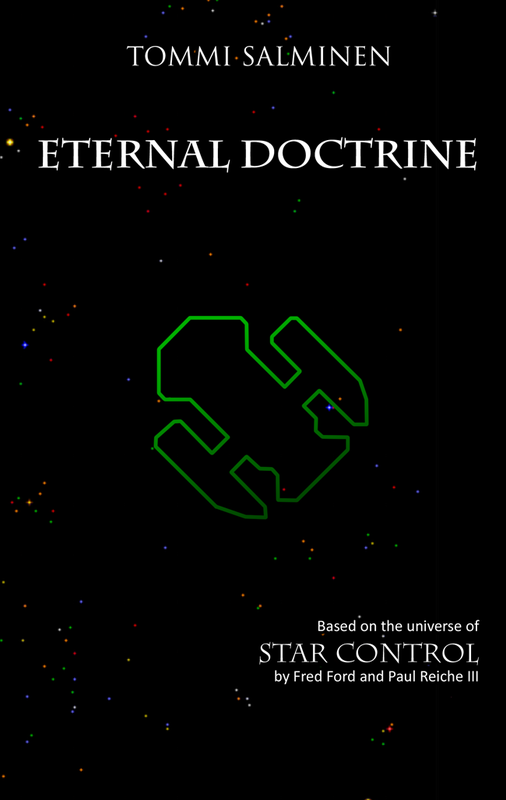 Chapters 18 to 23 of Eternal Doctrine are ready. This is the last step before the final step as part V will be the last one. To read these six chapters, follow this link. If you don’t know what Eternal Doctrine is, here’s a brief summary for you: Eternal Doctrine is my second novel – the sequel to Groombridge Log. Together these two books form the Star Control storyline. If none of this sounds familiar, you should check out the pages for Groombridge Log and Eternal Doctrine. The website is online with all the essential information. I will add content and update existing content in the following weeks, months and years. Tell all your friends (and foes) about me and this site!